Like a scrawny kid that reappeared after the school summer holidays with stubble, a deeper voice and newly bulging biceps, the second-generation Audi A1 isn’t how you remember it. Sure, it’s still based on the same underpinnings as a Volkswagen Polo, but it has been designed to appeal to a different market to that car, and also to its predecessor. This time around, almost 10 years after the original Audi A1 launched, it’s no longer a cute little city car - instead, it’s a compact muscle man, a far more angular and menacing looking little tyke. Still city-sized, but with a far more aggressive stance than the car it replaces. But is it any good? I travelled to Spain as a guest of Audi Australia to find out. 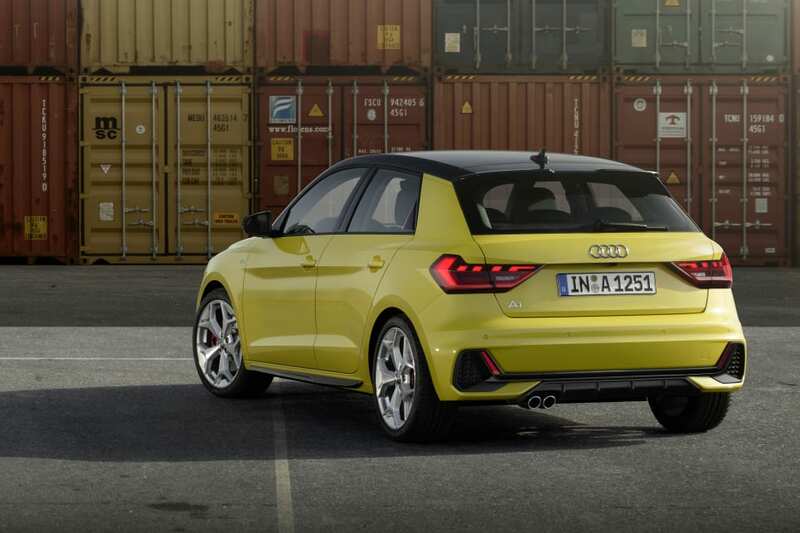 It’s hard to put into words just what a departure this new-generation version of the Audi A1 is compared to its predecessor. It’s keener, more athletic, more energetic. 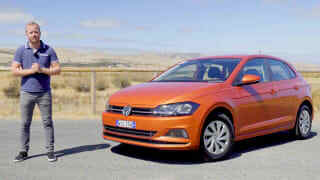 The new physique is so aggressive it’s bound to agitate the compact luxury segment. It could even agitate some Audi owners, because it’s arguably more stylish than many of the models above it. 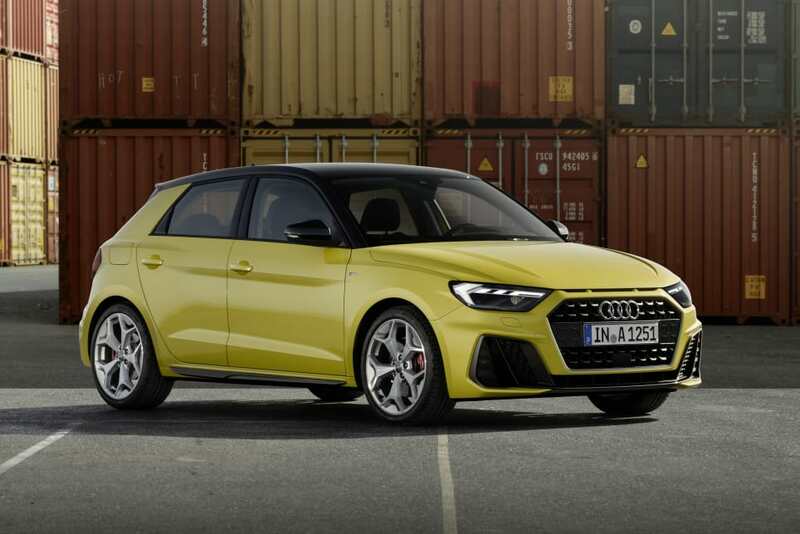 The all-new Audi A1 may share a lot with the VW Polo, but it certainly has a different level of style to its twin-under-skin. Audi pains to point out that a lot of the styling elements were borne of the Ur-quattro and Sport quattro models of the 1980s. The company is at pains to point out that a lot of styling elements for this new model were borne of the iconic and gorgeously sharp Ur-quattro and Sport quattro models of the 1980s. I can see that - just take a look at some of the form language on show here - you could forget you’re staring at a five-door hatchback based on a compact VW. There are angular headlights with LED daytime running lights, a big grille with three little slats above it (looks similar to the Hyundai Kona, right? ), and the body has a less rounded, more edgy look to it. Tucked under the (yummy, RS-inspired) squared-off guards are wheels ranging from 15- to 18-inches in size, and at the back there’s a set of LED tail-lights, which can perform a sort-of theatrical illumination sequence at start up and shut down. There are going to be 10 exterior colours on offer, an the roof can be had in two dark finishes, which are said to pull the roofline down and make it look flatter than it really is. Audi says it wanted to achieve “the sportiest interior in the compact class”. To my eye, Audi's nailed it. With such sharpness on show, it’s obviously a bit more masculine than, say, a Mini Cooper or Mercedes-Benz A-Class, and it arguably looks even sportier than those cars. There’ll be S line packages on higher-grade models sold in Australia, so expect no shortage of gills and fins and black vented sections when the car launches locally. On that topic, Audi says it wanted to achieve “the sportiest interior in the compact class”, and to my eye, the brand has nailed it. We all know that some sports people offer admirable competitiveness and eye-catching form, but has it got interior smarts, too? 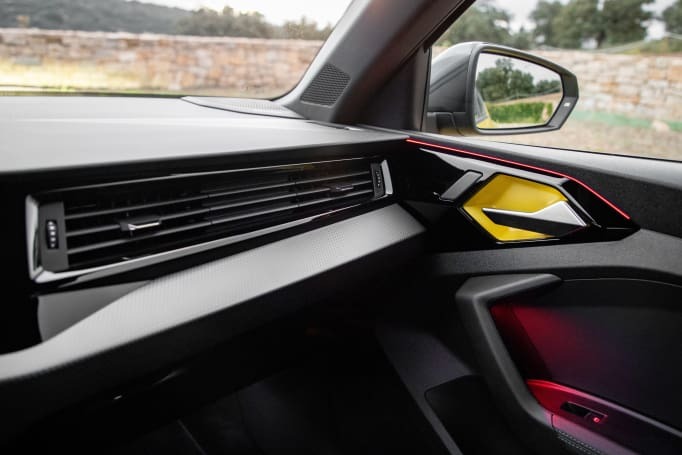 This is a car aimed at a digital-savvy customer and, as such, every version of the A1 comes with a 10.25-inch digital instrument cluster, plus a multi-function steering wheel. There’s a further step beyond that - Audi’s ‘virtual cockpit’ sees additional abilities for the driver to make use of. A few different sizes/types of Audi’s MMI system are to be offered globally, including a 10.1-inch touchscreen. Apple CarPlay and Android Auto phone mirroring are standard, and thankfully it looks as though there won’t be any model with a rotary dial controller rather than a touchscreen (as there is in the Audi A4). It’s not clear what we’ll get in Australia yet. Of course there’ll also be Bluetooth phone and audio streaming, not to mention two USB ports and available wireless phone charging (Qi inductive charging - expected to be offered on higher-grade models). The MMI system also has DAB radio, and some models will be sold with a Bang & Olufsen sound system made up of 11 speakers. 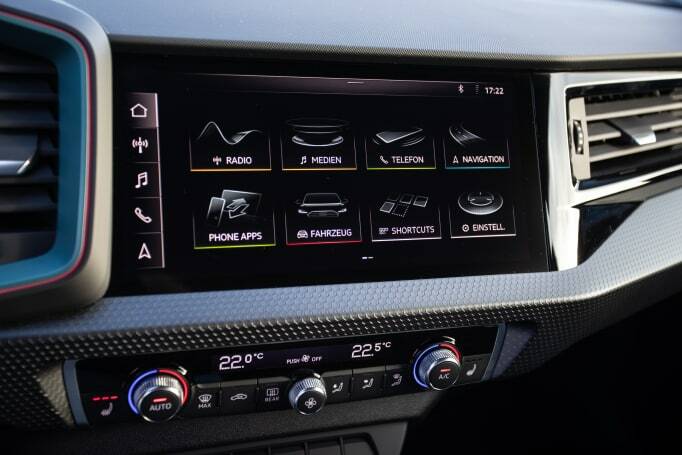 The sat nav GPS system offers a 3D urban display, and there’s the ability to download up to four map updates per year using the ‘Audi connect’ sim-based connectivity. That system can predict traffic jams and suggest alternatives based on cloud-stored, real-time information. The front seats don’t get low enough - so if you’re taller than average you might find it a little high-chairish. It’s considerably more roomy than the previous version, with decent knee and headroom for people my size (182cm). More important than all the tech, though, could be the interior styling - with a fish-scale/crocodile-skin finish running the width of the dash, plus bold colour-matched plastics up front in the cabin, including around the instrument binnacle, the lower dash and even inside the angular door-handle housings. This isn’t mirrored in the back seat, sadly, with simple finishes reflecting a cost-cutting effort. In fact, there’s a bit of that going on. The door trims are hard plastic, where the dashboard gets a soft texture. Call me odd, but I’d prefer a soft patch on the doors than the dash, because I don’t often rest my elbow up on top of the dashboard, personally. And one other annoyance - the front seats have height adjustment, but they don’t get low enough - so if you’re taller than average you might find it a little high-chairish. There are dual ISOFIX child-seat anchor points, as well as three top-tether points. There are decent storage smarts, though, with cup holders up front, and an additional large cubby in front of the gear selector. Plus there are big door pockets with bottle holders in all four doors (but they aren’t lined, like in some other VW Group products) and there’s a set of map pockets in the back, but there are no cupholders back there, nor is there a central arm-rest. In fact, it feels pretty sparse in the back. In terms of space for adults, it’s considerably more roomy than the previous version, with decent knee and headroom for people my size (182cm), but fitting three adults across would be a tough ask. It’s a compact car, after all. The new model sees the boot capacity increase notably: luggage space is now rated at 335 litres, some 65L more than its predecessor. That figure increases to 1090L with the rear seats folded down. All Audi A1 models sold in Australia will come with a space-saver spare wheel under the boot floor, too. 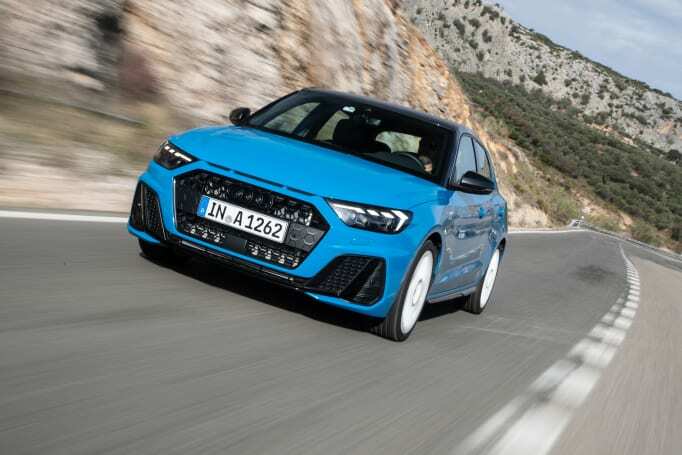 Aussie buyers can expect a few different versions of the new A1, all with five doors, all with 'S tronic' dual-clutch automatic transmissions, and all front-wheel drive. 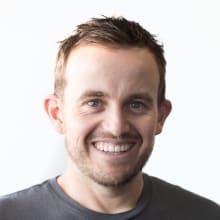 Expect the entry point to the range to be close to $30,000 (up from the auto base model of the current generation, which lists at $28,990 plus on-road costs, although the new model will be more comprehensively kitted out than before), while the highest grade version at launch will likely cost more than $40,000. Customers can expect a fairly strong standard equipment offer, but there’s nothing confirmed as yet. The MMI system has DAB radio, and can be configured with an 11-speaker Bang & Olufsen sound system. 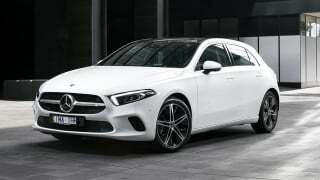 What we can tell you is that the brand will follow the new naming strategy for the model range, meaning we could see the base model demarcated as the 30 TFSI, a mid-grade 35 TFSI and a high-spec 40 TFSI, the latter of which is expected to brandish the S line styling package as standard. An educated guess would suggest push-button start and keyless entry across the lineup, alloy wheels on all grades (17-inch expected on low grades, 18s on the range-topping model), and an array of paint colours and interior trim packs. Stay tuned for a full, detailed pricing and spec breakdown closer to the car’s launch in around April 2019. It’s difficult to say what we’ll get in Australia, because the engines fitted to the European versions we tested in Spain mightn’t be wholly representative of our offer. That’s because all models sold in Europe fall under the strictest emissions legislation, meaning each is fitted with a petrol particulate filter. Australian cars won’t get those powertrains, because our fuel has too much sulphur in it, and the petrol particulate filters aren’t able to digest it. So, we could get older, lower-tech engines, and can theoretically expect higher-than-European-models fuel consumption. It’s expected the base model version in the A1 line-up (30 TFSI) will be sold with a 1.0-litre three-cylinder turbo-petrol engine producing 85kW/200Nm. 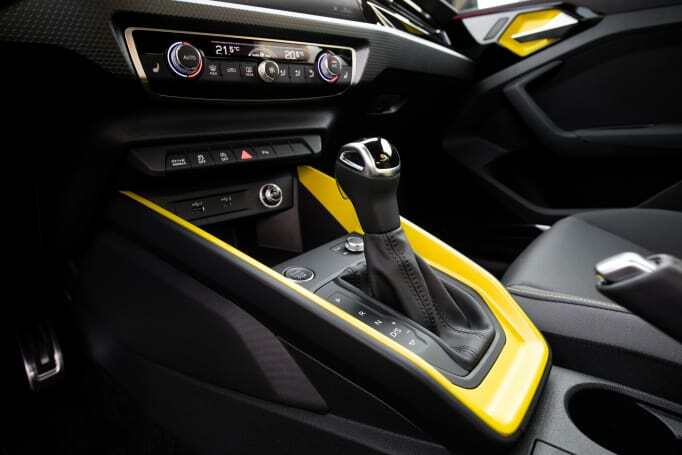 It will have a seven-speed dual-clutch auto transmission. We drove this engine at launch, but it was paired to a six-speed manual, and we won’t be getting that. The 85kW/200Nm and 110kW/250Nm variants get a seven-speed dual clutch auto. A six-speed is fitted to the 147kW/320Nm variant. Next up the range is the 35 TFSI 1.5-litre turbo four-cylinder with 110kW/250Nm, which is said to offer decent performance - both in terms of acceleration speed (0-100km/h will take less than 8.0 seconds) and fuel use, because it can shut down two cylinders under light loads. Again, it’ll come with a seven-speed dual-clutch auto. There’ll also be a turbo four-cylinder engine that’ll live up to the angry look of the new A1, with 147kW/320Nm (the 40 TFSI). This is essentially the Audi version of the Polo GTI, and it will have a standard-fit six-speed dual-clutch auto, with a claimed 0-100km/h time of just 6.5sec. Will there be a second-generation S1? I wouldn’t bet my house on it. All indications we’ve had from Audi suggest there will be no second-generation hot-hatch version, as the first one was expensive to develop and didn’t sell well. That means there’s very slim chance of any model in the A1 line being sold with the brand’s hallowed quattro (all-wheel drive) system. Fuel consumption is said to be as low as 4.8 litres per 100 kilometres for the 1.0-litre three-cylinder 30 TFSI model, but there are no details on the fuel consumption of the 35 TFSI and 40 TFSI versions as yet. If you’re thinking that you’ll be getting a sportier drive by choosing an Audi A1 over, say, a Mini Cooper, then you’d be wrong. The A1 comes across as a more convincing attempt at a compact luxury car than an outright fun car, and that’s not necessarily a bad thing. Over our time in the A1 in Spain, we drove the (predicted) 30 TFSI base model, with its charming and characterful three-cylinder engine, which seemed to fit the bill of being a bit more entertaining to drive than the model above it, the 35 TFSI. The steering of the top-spec 40 TFSI was the best when dynamic mode was selected. The 1.0-litre had the typical rumble and vibration at lower speeds, and fell victim to turbo lag more than the bigger-capacity four-cylinder engine. But in some ways, that made it feel a little more engaging to drive. The 1.5-litre was perfectly refined and nice to drive, with enough punch for the vast majority of people’s needs. Its steering was light and a bit lifeless, but the ride comfort (on 17s) was good. The sportiest version of the mix was easily the 40 TFSI, with its punchy 2.0-litre engine offering zesty acceleration and decent refinement. The shifts were quick and crisp, though it wasn’t quite at the level of a ‘proper’ hot hatch in terms of dynamics. It was fitted with the performance package with bigger brake discs, adjustable dampers, a sound actuator and Audi’s ‘drive select' system (with auto, dynamic, efficiency and individual modes). There was some torque-steer noticeable under hard acceleration, and because the platform isn’t set up for a more agile chassis (there’s MacPherson front suspension but all models come with a torsion beam rear suspension set-up), it wasn’t a point-to-point weapon. But it’s not really designed for that. Because the A1's platform isn’t set up for a more agile chassis, it wasn’t a point-to-point weapon. Even so, the steering of the 40 TFSI model was better when dynamic mode was selected, and in general it felt more involving than the rather remote, light tiller action in the other models. The dynamic mode in this car also adjusted the adaptive dampers to feel more tied-down, but - unlike some of my Australian colleagues - I didn’t find the ride to be too hard or harsh. The sound actuator mightn’t be to all tastes, but I appreciated the wailing warble pumped through the speakers under hard throttle. Oh, and the Bang & Olufsen sound system is really good, too. The biggest complaint I had with the drive was the amount of noise in the cabin, which pulls the A1 back from pint-sized luxury car into the realm of regular city hatches. On coarse-chip road surfaces the tyre roar was annoyingly loud, and there was some wind noise at 110km/h from around the A-pillar area, too. There’s a very strong chance the Audi A1 will achieve the maximum five-star crash test safety rating from Euro NCAP and ANCAP. It hasn’t been tested yet, but it has all the right gear to manage the feat. Standard equipment includes ‘Audi pre sense front’, a radar-based auto-emergency-braking system with pedestrian and cyclist detection, which can also pre-tension the front seatbelts, wind up the windows and flash the hazard lights if it thinks impact is unavoidable. There’s a standard lane-keep-assistance system (above 65km/h) and a speed limiter for the cruise control. Other tech available includes adaptive cruise control (0-200km/h for auto models), and finally - after nearly nine years of not having one - all models will be sold with a standard-fit reverse camera in addition to parking sensors. Some models will be offered with front parking sensors and side sensors, along with a semi-autonomous parking system that can perform parallel and perpendicular parking moves. Not a confident parker at all? Worried about nudging bumpers? The system can even exit a parallel spot for you. It doesn’t appear that Audi will offer blind-spot monitoring, nor is there a rear cross-traffic alert system - but models fitted with radar cruise control will get front cross-traffic alert, which is super handy in tight city streets. Audi will offer a reasonably priced service pack that can be bundled into your finance. It will include required maintenance every 12 months/15,000km, and you can bank on it adding about $1500 to the purchase price for a three-year/45,000km plan. The new-generation Audi A1 has gone a long way to appeal to a whole new market of customers, and while it may look more fun than a Mini Cooper to some, it isn’t as fun to drive. That said, there is no doubt that it will lure younger shoppers in - provided it is priced and specified competitively. Are you a fan of the new Audi A1? Tell us what you think in the comments section below. Is the new-generation A-Class's artificial intelligence creepy or useful? We found out at the Australian launch. 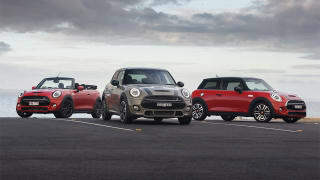 So you're thinking of buying a new Mini Hatch or Convertible? You could be about to enter a world of pain or awesomeness. Here's why.